As we head into the long weekend, we are quietly reminded that we are now 1/2 way through the summer break, can you even believe it?! This also means that those temps are slowly going to begin to dip a little more during the evening. 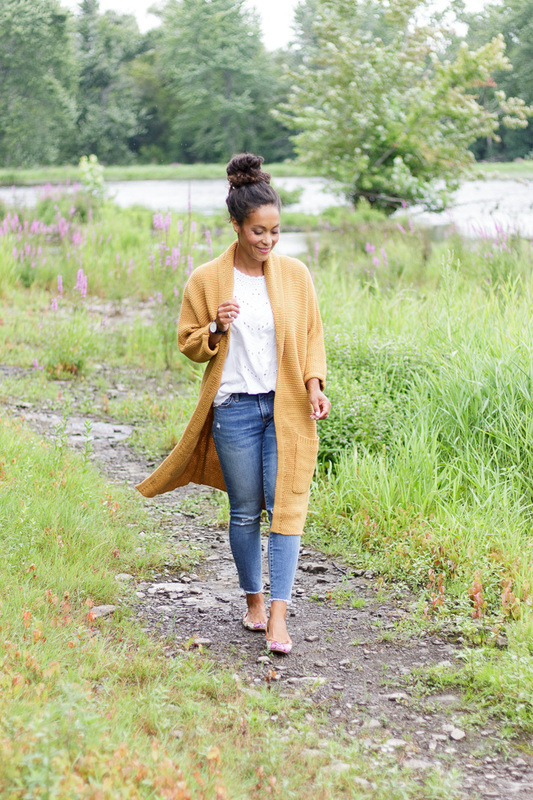 Though I'm not quite ready to say goodbye to summer, I do welcome the opportunity to wrap myself up in the comfiest cardigan every now and then (until Fall is officially here, then it's all about the cardigan all the time!). 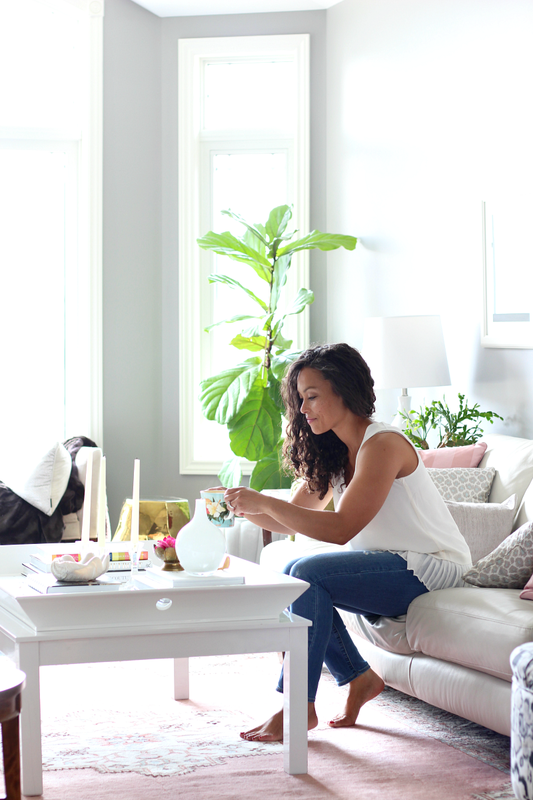 If you haven't heard of the beautiful Canadian shop, The Skinny, you need to click on over right away. I had the absolute pleasure of meeting Erinn, the founder of this incredible shop, at BlogPodium last year and have enjoyed following her shop ever since! This mama is doing great things and it's absolutely inspiring to see someone work hard and conquer their dreams! 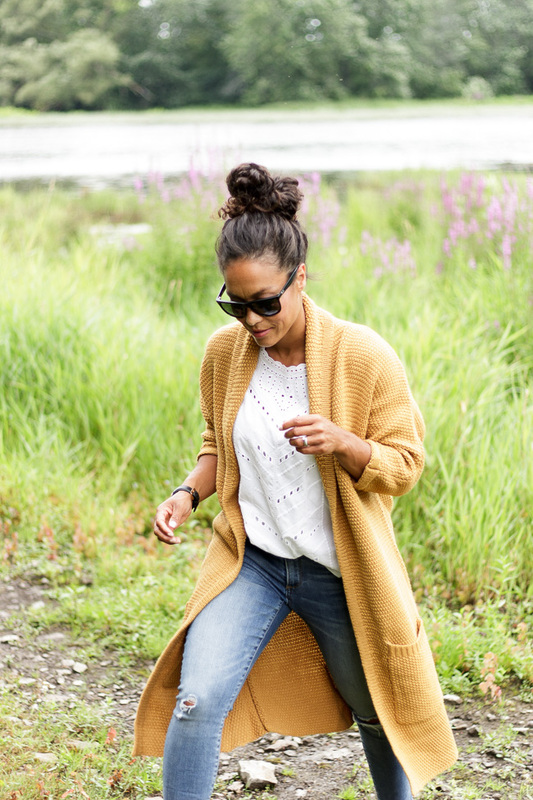 I'm a huge fan of cardigans, as they are perfect with their open fronts, easy to throw on when there's a chill in the air, or when you are looking for an instant hug. This beautifully long knit mustard cardigan (designed and made in Canada!) is just lovely and fits the bill in every way! Hop on over to The Skinny to see what other beautiful pieces Erinn's shop has (including kids' and baby wear!). I especially love the Blythe dress, this Mama Bird tee and the ruffles on this Olivia Sweater!